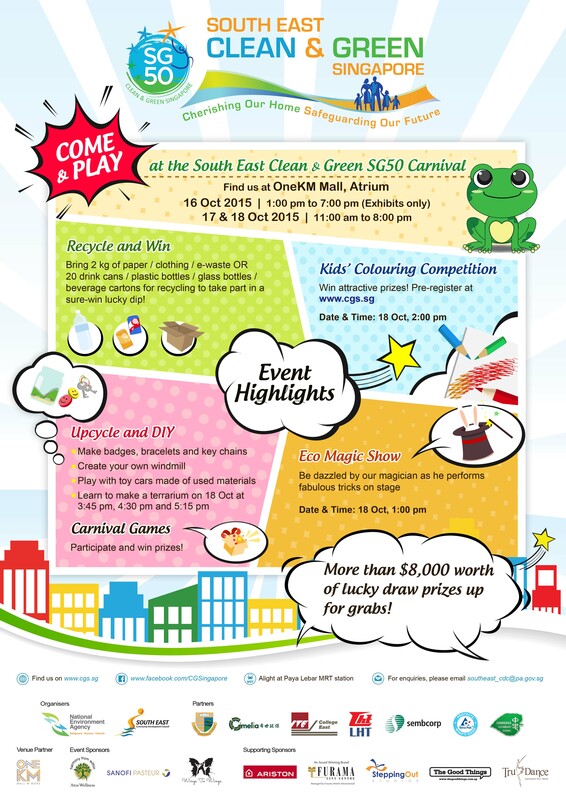 Join us at the South East Clean and Green SG50 Carnival and learn through the eyes of Captain Green and his friends on how we can do our part to care for the environment. The exhibition will showcase heart-warming and inspiring stories about individuals who have made a difference in keeping the environment clean and green. In addition, the Organisers of the Carnival, NEA South East Regional Office and South East Community Development Council, have lined up a series of interesting, hands-on activities to immerse visitors in an interactive and experiential learning journey. Do make a date with us!